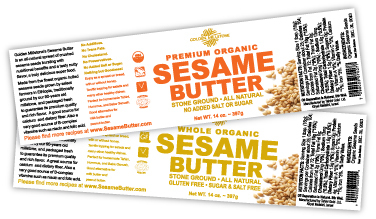 Label design for organic, kosher, Gluten Free, all natural, sesame butter. 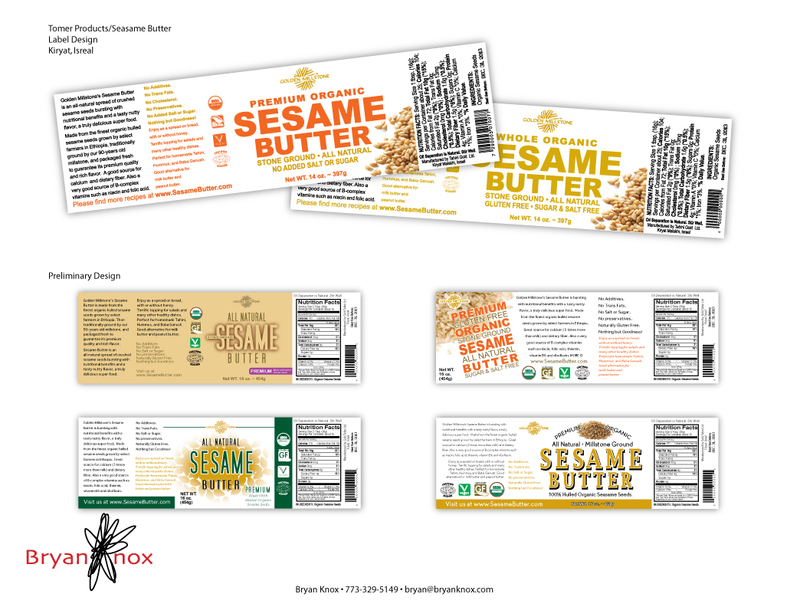 FDA compliant forsale in the U.S.
Click image for larger view of Golden Millstone Sesame Butter label with preliminary concepts provided. I designed the logo, the label and the Gluten Free and Vegan icons.